The first meal I ate in Alentejo was at the stylish Chouriço da Praça in the historic and rather splendid hilltop town of Evora. It involved neat little crispy croquettes topped with red onions, duck pie and a dream dessert consisting of curry pear with saffron ice cream. 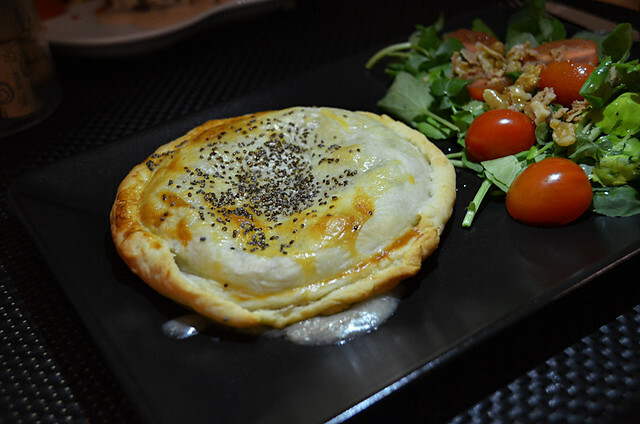 It was sophisticated and memorably delicious. A couple of nights later, after a brief fling with a gastronomic outsider (a francesinha), we enjoyed a degustaçao (tasting) menu of contemporary Alentejana dishes at Origens which was right up there with many other creative cuisine restaurants we’ve eaten in recently. As an introduction to gastronomy in Portugal’s Alentejo region it was a bit of a misleading start. That’s not meant as a criticism, just an observation. Over four months living in Alentejo, specifically near Marvao on the border with neighbouring Spain, we discovered Alentejo cuisine generally consisted of good quality products, unsophisticated meat and fish dishes, and portions that were generous to a ridiculous level. In short, simple hearty country fare. 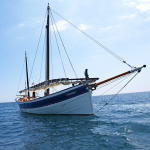 Much of it was of the type you’ll find in other destinations known for good but basic food. However, there were standout dishes, intriguing concoctions and a range of desserts which seemed to have been monopolized by the region’s nun population. 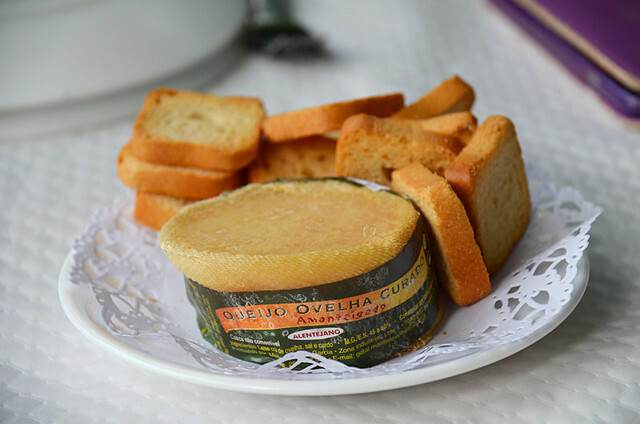 You have to be a brave and very hungry person to begin a meal with a couvert (the selection of small dishes you get offered at the start of a meal in Portugal) in Alentejo, but if you do the local cheese is worth testing the strength of your stomach lining for. Strong, runny and masochistically more-ish. If you’ve worked your way through a full on Alentejo meal you’ll understand why ‘masochistically’. A friend suggested we try sarapatel at Mil Homens in Portagem. Sarapatel is basically a small dish consisting of lamb offal, spices, herbs, garlic, onion, wine and bread. It’s said to have its origins in the Jewish quarters of Portuguese towns, and travelled with Portuguese explorers to India and Brazil where it’s become exceedingly popular. Deservedly so, this is a delicious starter to a meal, full of meaty flavour and with a pleasurable mild kick. We ate sarapatel any time the opportunity arose. Our friend was right, the one in Mil Homens is highly recommended. Don’t be put off by the offal tag. 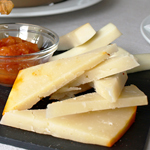 Menus in Alentejo feature tomato soup, but it’s not tomato soup as we know it. 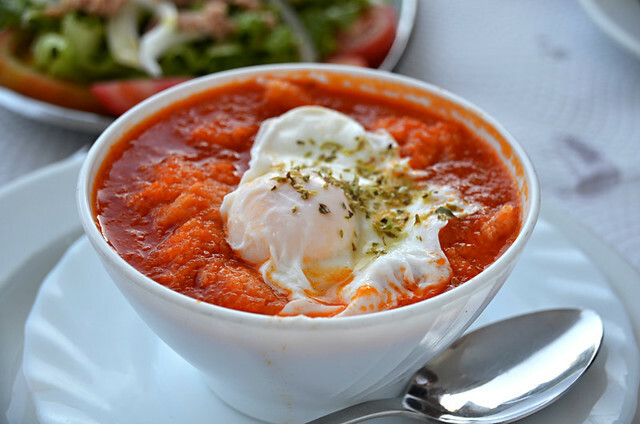 It’s more like a stew with tomatoes joined by onion, garlic, egg, possibly potatoes, herbs and bread. What’s unusual about bread with soup? 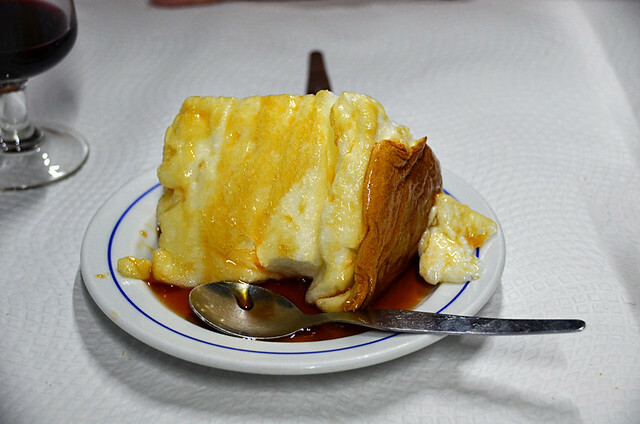 In Alentejo the bread is submerged in the soup. I copied other diners at JJ’s in Portagem and ordered a bowl to kick the meal off on a hot and lively summer evening. I was stuffed by the time I was finished. This is a stand alone dish. The stand out dish of our time in Alentejo was a gaspacho as fresh and fruity as a swim in a tub of lemon scented water on a sizzling summer day. I’m not talking any gaspacho, it has to be the superior offering at A Confraria in Castelo de Vide where a personality waitress gave us Portuguese lesson as an accompaniment. 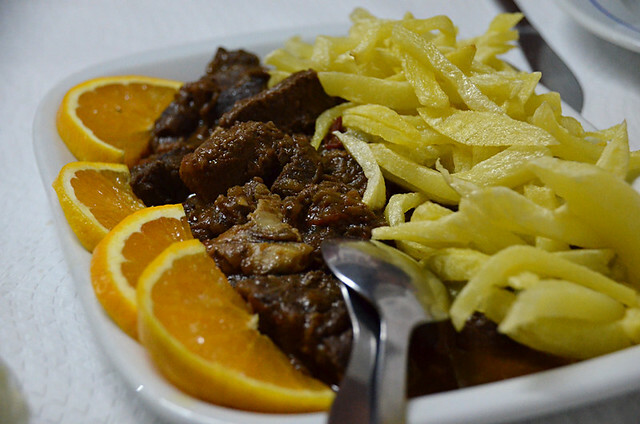 Or carne de porco a Alentejana as it is listed on menus. 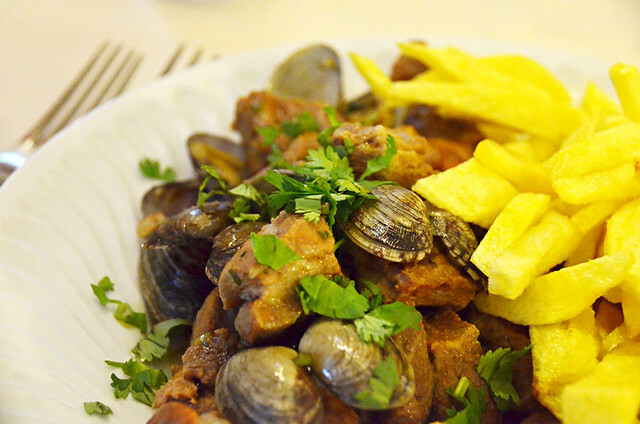 This is the number one main course in Alentejo for me, a taste-bud dazzling blend of pork, clams, fresh coriander, garlic and white wine among other ingredients. 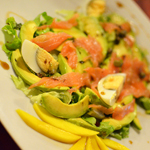 The first time I tried this was in the restaurant of the Hotel El Rei Dom Emanual. It was a strange experience, a ‘silent as the grave’ hotel restaurant (the Portuguese woman at the next table actually whispered her way through her meal) with no views which was ironically located in a hilltop town with 360 degree vistas. 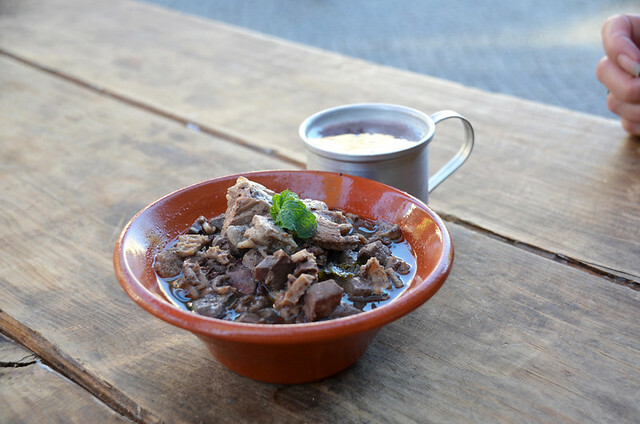 But their carne de porco a Alentejana made up for the lack of atmosphere and anything to look at. The most disappointing meal we had in Alentejo was at Zé Calha in Portagem where salt seemed to be used to disguise blandness and ‘a nice bottle of vinho verde at a decent price’ turned out to be €20. Our fault as we didn’t check, but we’ve grown use to a ‘decent price’ not meaning ‘I’m going to hit you with the second most expensive bottle on the menu’. 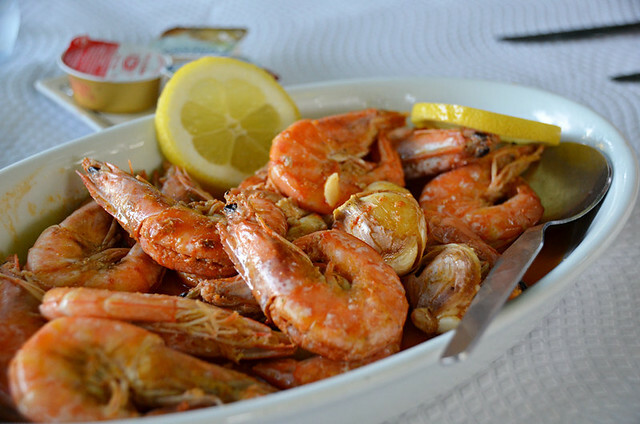 But the beer and prawns (as it sounds with some garlic, bay leaves and maybe even piri-piri thrown in) was good, if incredibly messy. Plus a girl at the next table brought a huge pet bunny to dinner with her which made the experience wonderfully bizarre. 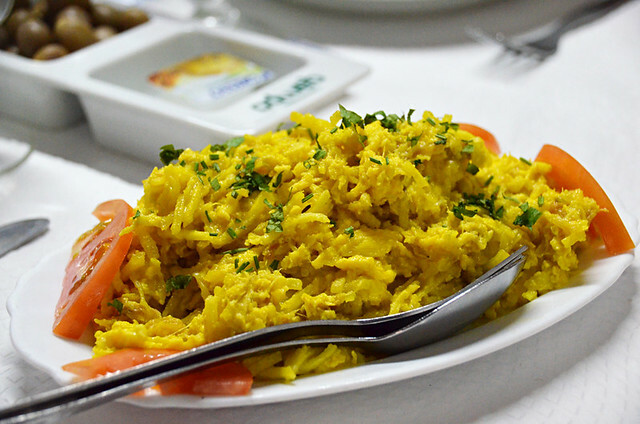 Bacalhau dourado’s claim to fame is that one in Elvas earned a place in the Guinness Book of World Records for being the biggest in the world. Where else makes ‘golden cod’ I ask myself? I’m not a fan of bacalhau (salted cod) but I’d definitely order bacalhau dourado again. Like Jamaica’s ackee and saltfish, shredding the salted cod and mixing it with something else takes away that ‘not fresh and too salty’ element to it. In this case the something else was straw potatoes and eggs. The one in the photo was at Mil Homens, our favourite restaurant in Portagem. Having eaten migas in Andalusia I was expecting much the same dish in Portugal. This one from JJs at Portagem was nothing like the migas I’d eaten elsewhere and I have to say all the better for it. 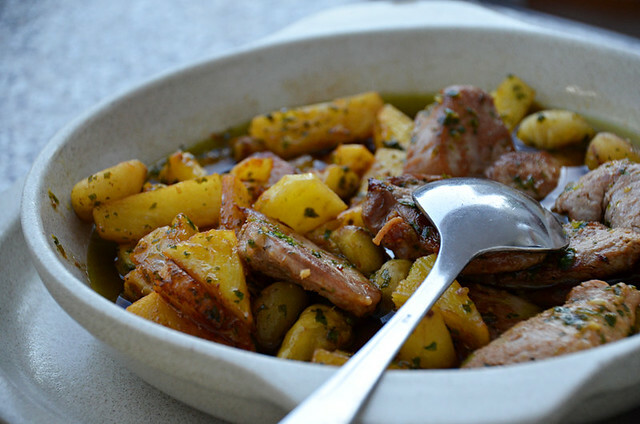 The version in the photo is slightly different from the classic Alentejana version as it was sweet potato migas with pork and sausages. This was a half ration and still defeated me (it did follow a robust tomato soup though) which I still regret every time I look at images of it as it was so good. There are no fancy ingredients with either of these, just the gamey meats and French fries – a combination which I’ll go for on any feira of the week. Mils Homens stylised theirs with a row of orange wheels whose juice gave the rich, savoury meat a further boost. 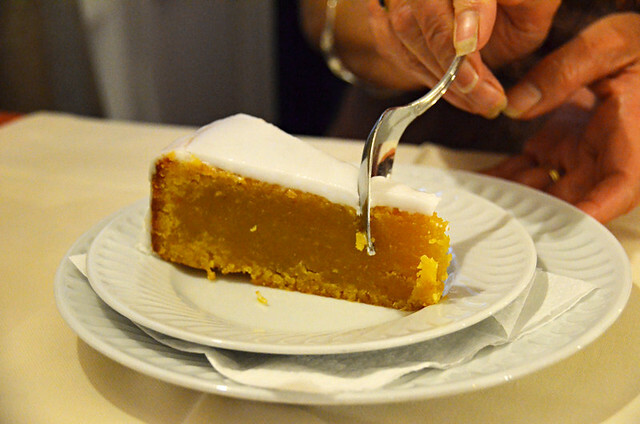 Chances are the dessert entries on traditional menus in Alentejo will have been designed by nuns, involving leftover egg yolks after the nuns have starched their habits with the egg whites. Subsequently there’s a similarity to many puddings. I can’t say I was wowed by Alentejo desserts. This was my favourite. Sericaia is a mix of egg yolks (obviously), cinnamon, milk, sugar and lemon peel which is almost soufflé-like in appearance and texture; although this varied depending on where we ate it. 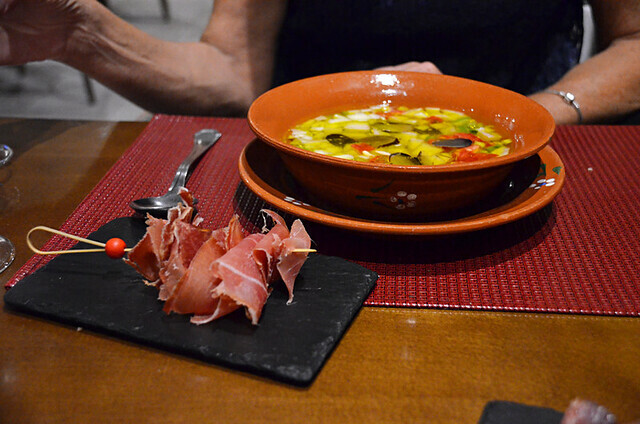 A light and easy-to-digest way to end a hearty Alentejana dinner. Where sericaia can be light as a helium-filled balloon, toucinho de ceu could be used as an aeroplane chock, well the one we tried could. It’s a dense cake of egg yolks, almonds, cloves, cinnamon, sugar and flour. 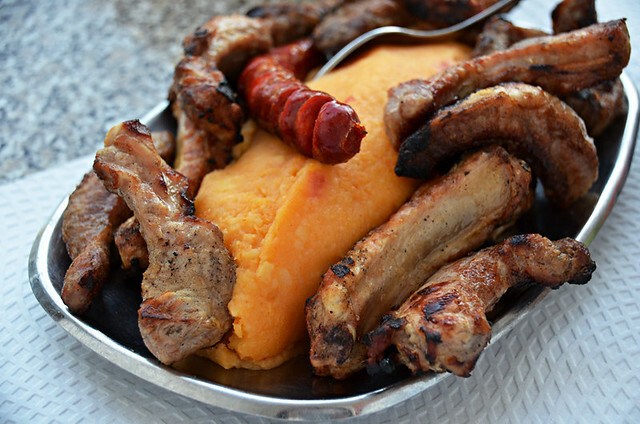 Toucinho de ceu means ‘bacon from heaven’ (lard used to be a key ingredient) but we have yet to be convinced about that.